This is the final installment of our epic coverage of social media tools, what they’re good for, and how you might want to use them. In this list, we will be taking a look at tools that you can use to help improve the quality and professionalism of your posts, as well as some tools that will allow you to make the sharing of what you do easier (and more trackable). 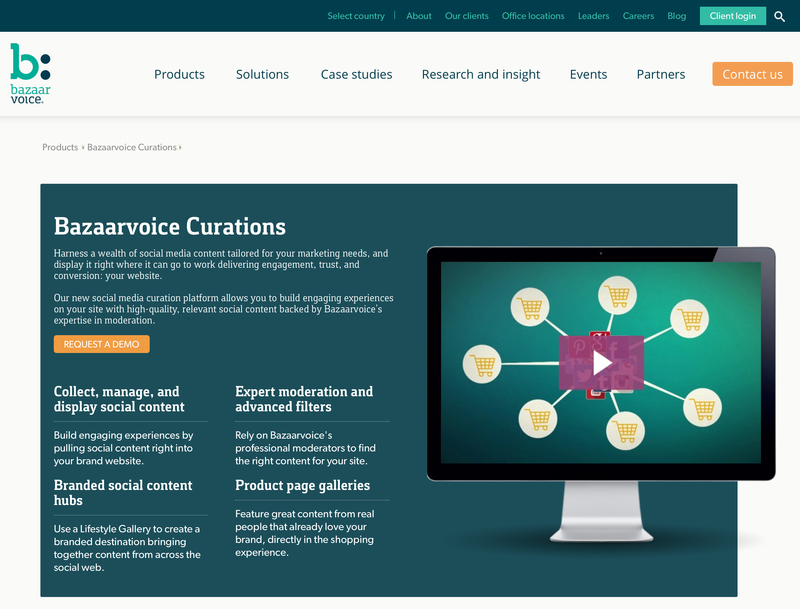 Once just a way to aggregate your favorite social media posts in one place, AboutMe has morphed into a complete site-design tool, designed for people who just want a simple site up on the web to show off who they are and what they do. 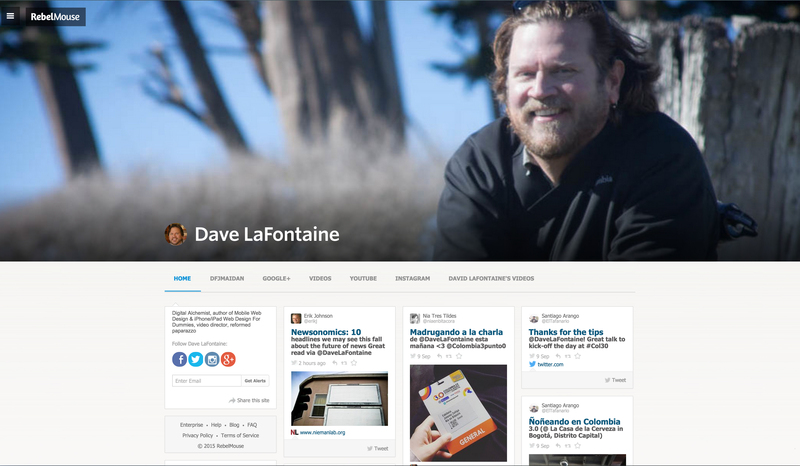 AboutMe allows you to drag&drop and resize content boxes to create your own custom front page, and also has a feature they call “Backstory” where you can tell people a little about your history, and include posts from your social media feeds of the past few years. 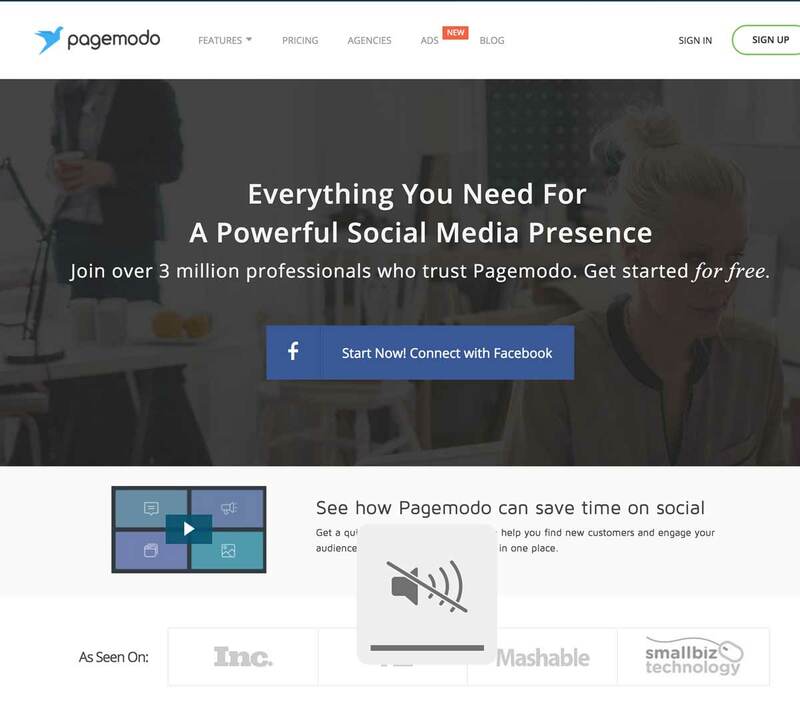 – Another aggregator that has “pivoted” to become a way to set up your own micro-website in minutes and automatically integrate your latest posts from Twitter, Facebook, Pinterest, and more. 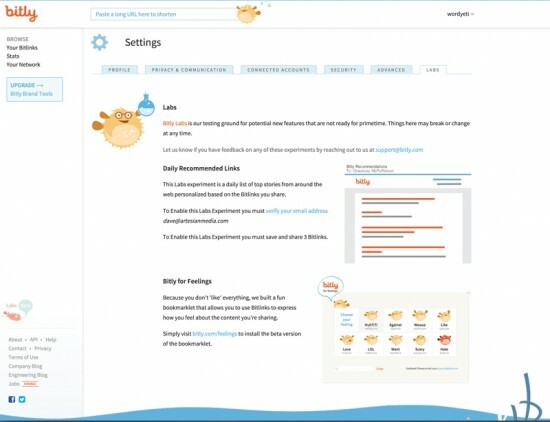 There is limited design flexibility, but if you upgrade to “Rebel Roar” you get a fully flexible layout, analytics, community management and a module to send out a newsletter. 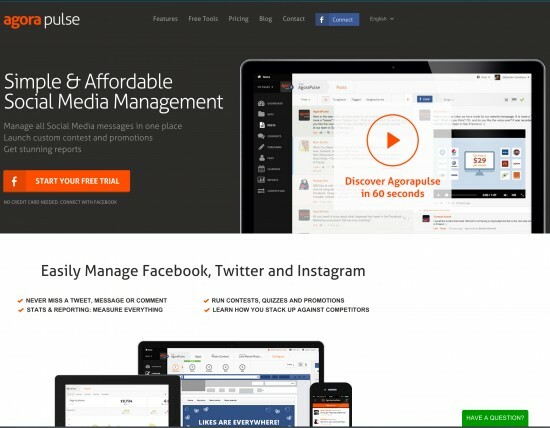 Again, for the casual user, this is probably way overkill; but if you’re a small business or a freelancer, RebelMouse might offer you a chance to have a pretty good-looking, easily updated website on the cheap. They’ve pivoted from being just a place to aggregateyou’re your feeds, to being a service for e-commerce sites. Their promise is that by bringing in social media feeds, you’ll get discussion on your site about your products/services, which will then increase your SEO and drive more traffic to your site. They claim to also offer “professional moderation,” to keep your site from being overrun by nasty stuff from trolls. This is kind of a specialized service, but if you’re building a consumer product hub, and you don’t have the money to have your own in-house team integrating content, this might be a viable options. They also offer versions of their service in countries other than the U.S., such as Brazil, Germany, Spain, Australia, and more. 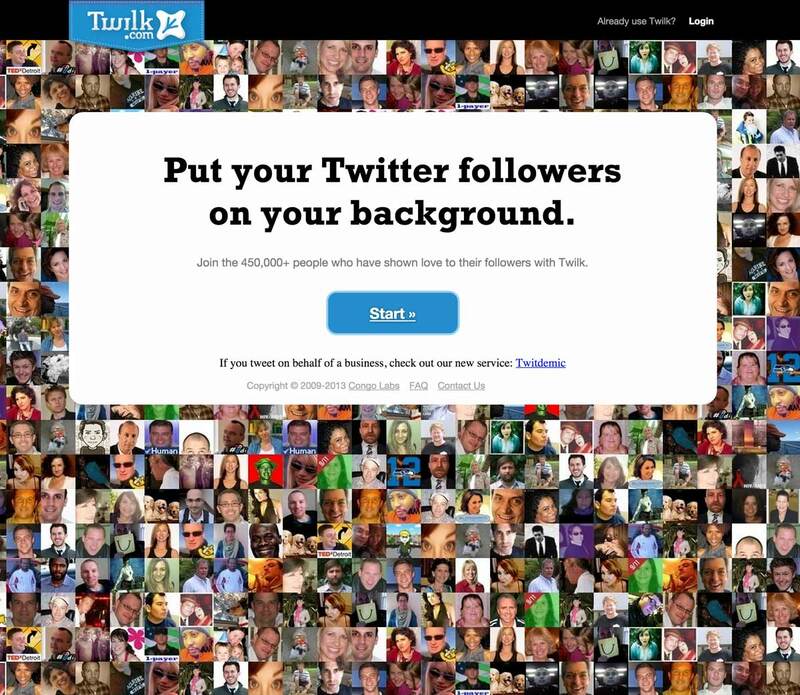 Formerly Twylah, this tool is used to create a giant “Wall Of Tweets” at conferences, concerts, or other public events. 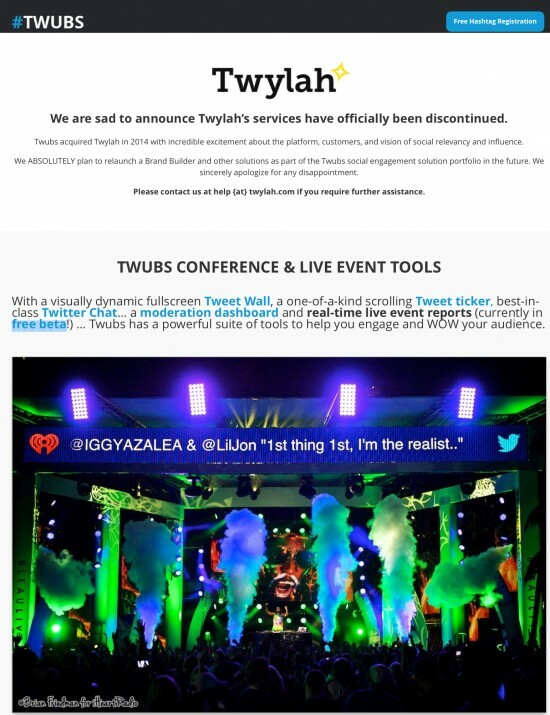 It includes a Tweet Ticker, Moderation Dashboard, and you can display it via projectors at your event, or make it available via the web to people who aren’t on-site. The one thing that does give us pause is that they don’t make public their pricing structure, and they require you to register and give up all your contact details (and thus enroll yourself on their spam list) before they will talk to you. Add social media icons to your website or blog with an AddThis account. Simply sign up, then copy and paste a little code from the AddThis site onto your site or blog, and you can make it easy for visitors to ‘like’ your pages, follow you on Twitter, and share your content on social media sites. 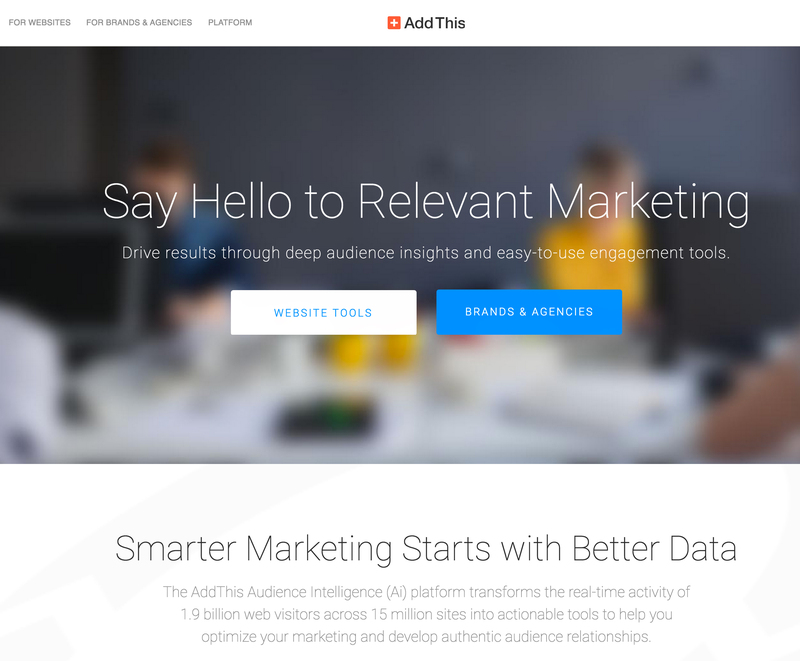 As with many of the tools that we’re looking at in this update, AddThis has jumped onto the “Big Data” bandwagon, and is offering a whole bunch of analytics tools along with the sharing “chiclets” that made it so popular in the early days of Web 2.0. This is yet another example of a tool that has evolved significantly in the last year or so. AgoraPulse started out as just a simple Facebook management and analytics tool that cost about $9/mo. But now it’s branched out to handle updates to Twitter, Pinterest, and other social platforms, while also offering you analytics and analysis of what your competition is doing on social. AgoraPulse claims that what makes it special is that you can build little apps for your friends/customers to use, like quizzes, sweepstakes, photo contests, coupons, etc. They’re also now boasting that all the attention that you get on social can be easily exported into your CRM (if you have one), so that you can follow up and start turning that attention into customers, sales (and money!). Bitly is a URL-shortener. It’s especially useful if you’re posting to Twitter where you can only use 140 characters and you don’t want a long URL to take up too many characters in your post. If you take the time to set up an account on Bit.ly, it also tracks how many people click on each link you post, which can help you determine which links are most successful, who in your audience is responding, where they are located, and even the best time of day to post. 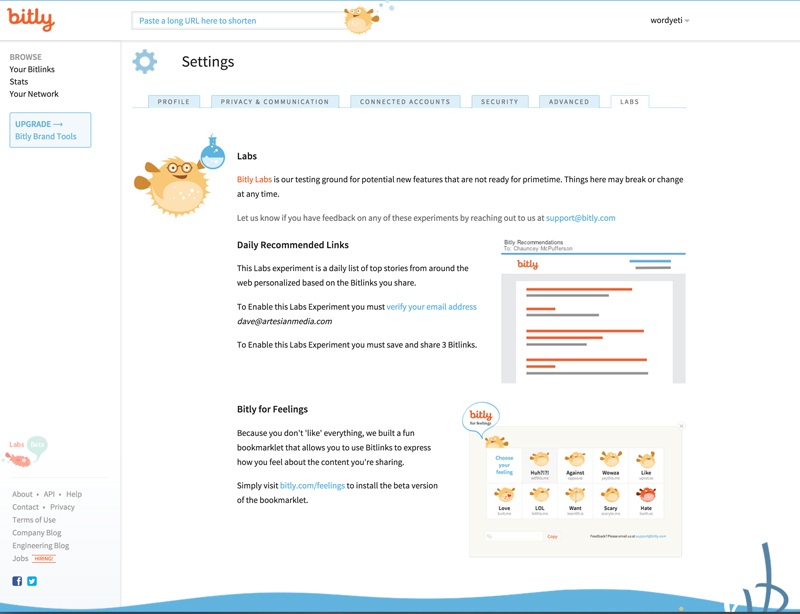 UPDATE: An interesting – and quirky – evolution in URL shorteners comes out of Bitly Labs – check out the Bitly for Feelings chiclet – it allows you to attach a “feeling” to the links that you share. Kind of like how some sites now allow you to “vote” on how a story makes you feel (sad, happy, angry, ashamed). Google’s URL shortener, which provides tracking and even creates a QR code for each URL. I kind of like how the shortener page gives you a preview of the page that you’re linking to – just in case you’re multitasking and you’re forgetting which tab it is that you just hit CTRL+C on. And yes, I have done this. And regretted it. There’s some fairly basic analytics associated with this, but really, there’s not all that much that differentiates this tool from others in the marketplace. You’d kinda expect more from Google – maybe some bigger integration with Google Analytics? 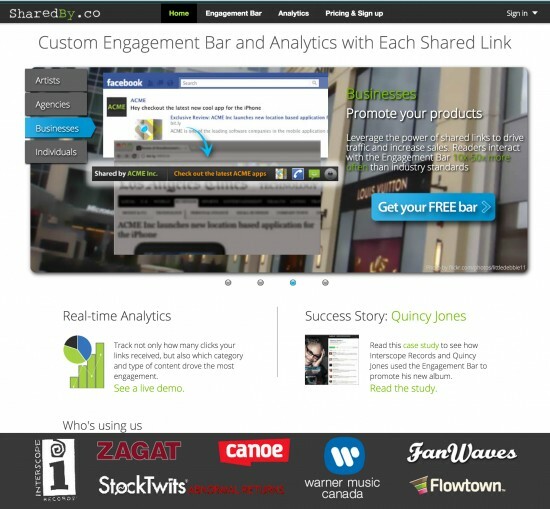 Gives you a customizable toolbar, where you can see who shared your social links. 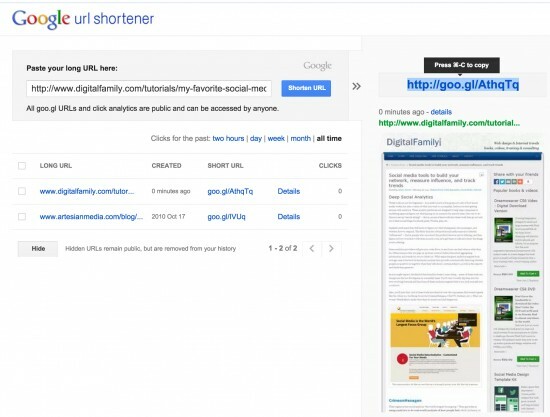 Similar to Bit.ly, Sharedby lets you shorten URLs, but it also adds a bar across the top of the screen when someone follows one of your Shareby Links from Twitter, Facebook, etc. That bar includes your name, links to your social media sites, and of course, a link to Shareby. There’s a free version, and for $7 a month, you get access to all kinds of analytics – showing you what are the top categories, formats, and timing of your shareable content, so you can tell what’s working. 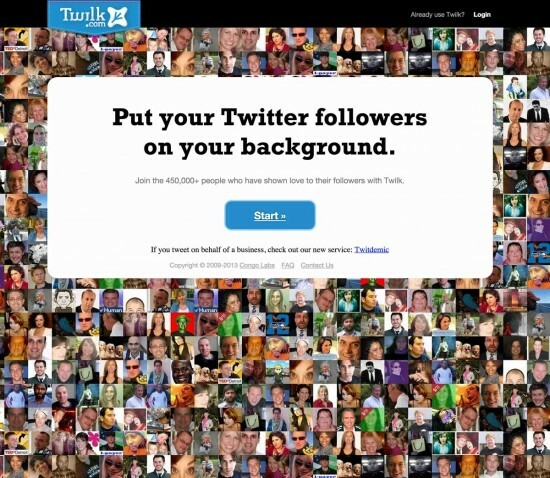 Does this remind anyone else of the look&feel of Craigslist? The grandaddy of ’em all – TinyURL was the first URL-shortener I ever ran across. 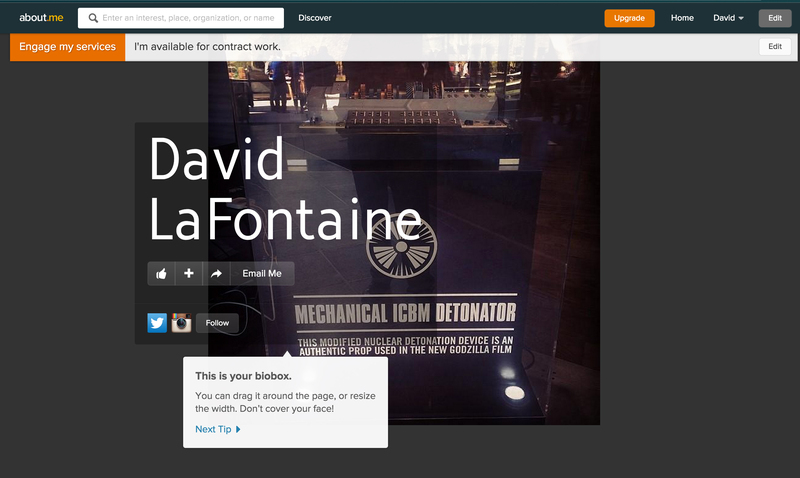 And you can tell that from the look&feel of the site design. Sheesh. That wouldn’t have looked out of place back on Prodigy. Still, TinyURL is quick and easy to use, and their relative lack of analytics suggests that they aren’t snarfing up all our data to sell to some nefarious 3rd party, the way some of the other sites seem to do. For visual content creation. 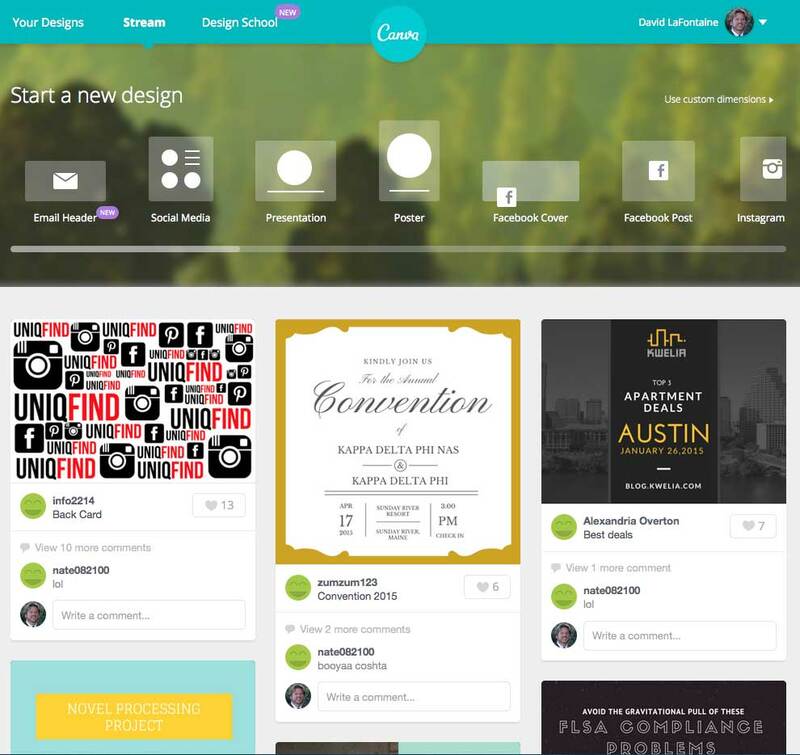 They provide some well-designed templates for social media profiles, or badges for your site, or even LOLCat-like photos with ornate fonts and curlicues. You can pick from their gallery of professionally shot images, or upload your own. There’s also a large gallery of templates that you can use for all kinds of things – email headers, posters, greeting cards, etc. Admittedly, the designs can feel a little generic, because they’re made to appeal to a wide audience, but if you’re in a real hurry and you need something that looks halfway decent, Canva can help you get a post up fast. PageModo: Create your own Facebook Page designs at http://www.pagemodo.com/.